Cable is 1.5mm thick for use with suspended display system. 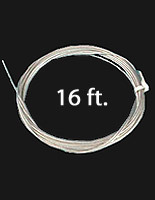 82-foot long cable for floor-to-ceiling displays. 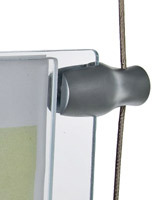 This stainless steel cord, wire cable tightly and effectively mounts signs in their proper places. When the rope is used in conjunction with our literature holders, the layouts and configurations are endless. 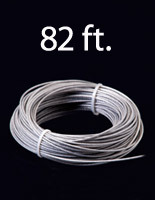 This wire cable that is made of stainless steel is the most reliable choice for securely suspending your precious artwork and signage. The 82' length of coiled rope is quite thin as it measures only 1.5mm, but it is very strong. 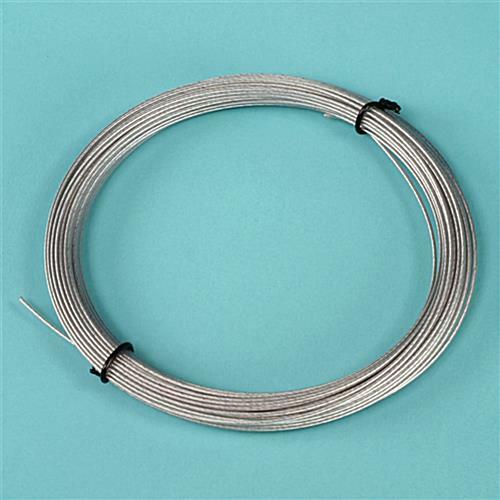 This wire cable, also known as stainless steel cord, when used with our suspension kits can be utilized to configure custom displays. 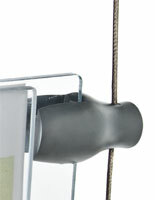 This wire cable is able to suspend several literature holders from one initial sign or mounting point. 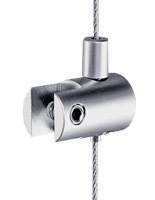 The length of this rope allows for the creation of multiple displays for walls or for spanning from floor to ceiling. The wire cable and these exhibits use limited floor space. Create contemporary and attention-getting displays in retail stores, businesses, or in office buildings. 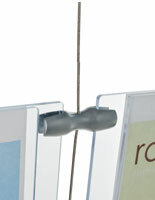 The wire cable in this longer length of cord will provide enough rope for bigger presentations. 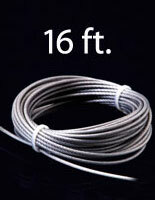 This cord in sold in 16' lengths as well the larger one featured here.